Techstyler 14″ imagesetter | PKA Associates, Inc.
Exile TECHStylerT Wide-Format Thermal Imagesetter gives screen printers an exceptionally affordable, new wide-format film output solution enabling the efficient printing of full body graphics right to the edge while producing full-size 600 x 600 dpi film up to 14” wide. 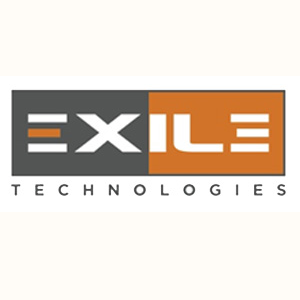 Exile’s Closed Loop Registration (CLR) control ensures tight registration and delivers both accuracy and consistency. 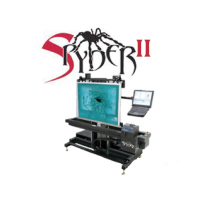 The new TECHStyler is capable of producing professional, on-demand, film separations right in your own shop—without a darkroom, without a processor and without chemicals. 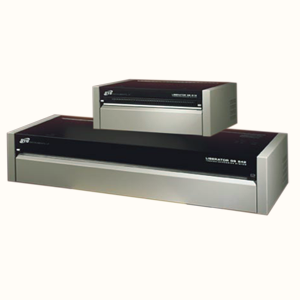 Exile’s thermal imagesetter technology offers clear, compact, environmentally friendly solutions to artwork production, enabling you to eliminate outsourcing of large-format films and bring production-control in-house. Exile’s unique, chemistry-free, dry-imaging ThermoImpression® film requires absolutely no fixers, developers, inks or toners while providing UV densities that exceed industry standards. The bottom line: wider edge to edge printability, better day to day performance, improved resolution and registration, less waste, lower costs and affordable price. 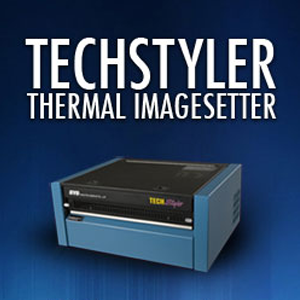 Be the first to review “Techstyler 14″ imagesetter” Click here to cancel reply.